Asarulislam Syed M.D., is a Pakistani-American neurologist and psychiatrist who lives in California. 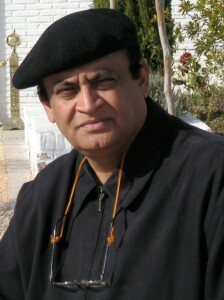 He is Chief Executive Officer of Jannat Pakistan, a Quranist religious educational movement that propagates Islam as a DEEN [ a government of people who have chosen to live freely under the Law of God, free from the shackles of sharia] Jannat Pakistan is incorporated as a not for profit religious organization in the State of California. He is also the Emir (spiritual leader) of Jannat Pakistan Party, a political party registered with the Election Commission of Pakistan, whose head office is in Rawalpindi, Pakistan. He attained his graduate medical education from King Edward Medical College, Pakistan and his postgraduate medical education from Kansas University, USA. His lives with his family in Wasco, California, where he joined State Civil Service, and since May 2001, has been serving as Chief Psychiatrist with the State of California Department of Corrections and Rehabilitation. 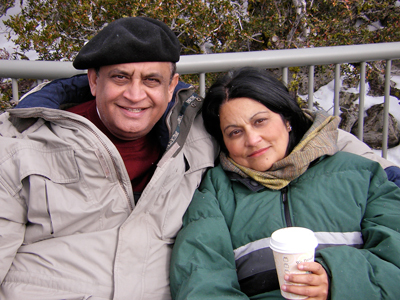 He is married to Nayla Syed, MD, a Child and Adult Psychiatrist who is also serving as a Staff Psychiatrist for the State of California. .
Born in Lahore, Pakistan, his Arab ancestors migrated from Bukhara, Uzbekistan and moved to Sialkot around 1185 when the noble Afghan Sultan Shahab-ud-Din Muhammad Ghauri conquered Punjab and Sialkot became a part of the Muslim Sultanate of Delhi. Two Sufi missionary brothers, descendants of Prophet Muhammad , Shah Hasan Abdal and Shah Ditan Abdal settled with their families on a mound, Tibba Syedan in Sialkot and converted the native population to Islam. ABDAL is an Arabic word for a Substitute Teacher. Abdal brothers were learned scholars of Arabic. Dr. Asarulislam’s parents come from families that lived in Tibba Syedan Sialkot. His ancestors are buried in the family graveyard of Shah Abdal, a shrine of a pir, in whose vicinity lies buried in a tomb, the great Imam Ali-ul-Haq of Sialkot, martyred battling against the Raja of Sialkot in the 13th century. Dr. Asarulislam’s maternal grandfather, Hafiz Syed Mohammed Isaac was a pupil of the renowned Muslim modernist scholar, Maulvi Syed Mir Hassan, the celebrated professor of Arabic language at Scotch Mission School & Murray College, Sialkot. Syed Mir Hassan is the teacher of Dr. Sir Muhammad Iqbal, the poet-philosopher who in 1930, first gave the Pakistan idea. His mother Dr. Zubaida Gilani-Saqlain and his father, Brigadier Habibus Saqlain Syed, were both physicians who had attained their graduate medical education from King Edward Medical College in Lahore. Both had served as medical officers with the Pakistan Army Medical Corps. As a child of military parents, Asarulislam started his kindergarten education at Burn Hall School, a Christian missionary school established in 1943, in undivided India, in the city of Abbotabad ; a school with the motto “Quo Non Ascendam” (latin: “To what heights can I not rise?”) . A few years later, his father moved to Sialkot where he continued his education at the Convent of Jesus and Mary. His grandfather Hafiz Mohammed Issac imparted to him, home tutoring of Quran and Arabic. In 1960, his parents moved to East Pakistan Dhaka where Asarulislam continued his education at the Adamjee School and where he learned to speak Bengali language fluently. In 1964 he entered Cadet College Hasan Abdal, one of Pakistan’s most prestigious Military High Schools where he excelled in academics, dramatics and debates. 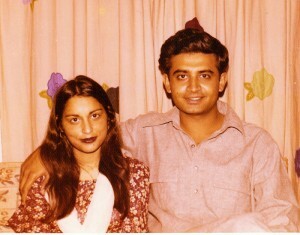 Following graduation, he was accepted to King Edward Medical College Lahore. As a Cadet, Asarulislam was strongly influenced by the writings of Syed Abul Ala Maududi, grew a beard, and for a brief period became a staunch follower of Maududi. While a medical student in Lahore in the 70’s, he formally studied the Quran at the Tolu-e-Islam Quranic Education Center in Lahore, Pakistan. He was a dedicated pupil of Pakistan’s renowned Quran scholar and Quaid-e-Azam’s political advisor, Ghulam Ahmed Pervez. 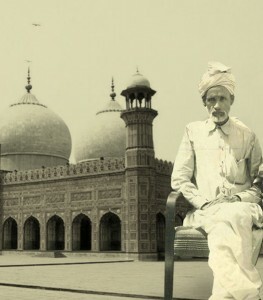 At Lahore, 1970–76, he pursued his extra-curricular interests in calligraphy, music and performing arts and nurtured a strong friendship with Syed Sadequain Ahmed Naqvi Pakistan’s world-renowned artist with whom he worked as a pupil, whom he considers as his mentor. An Anti-Ahmedi Activist in 1974. In 1977, Asarulislam married Nayla Qamar, then a third year medical student at Fatima Jinnah Medical College Lahore. Daughter of a family friend Major Qamaruddin, a physician serving Pakistan Army Medical Corps, they have been married for 35 years and have four children. Their eldest daughter Annie Syed is a law graduate JD, a literacy coach and a writer. Asarulislam worked as a Medical Officer at Polyclinic hospital in Islamabad and for a brief period in 1977-78 as Medical Officer to the National Assembly of Pakistan. He served as a lecturer in Anatomy and Neuroanatomy at Ayub Medical College Abbotabad. Both he and his wife Nayla Syed worked for seven years as Medical Officers at a Military base in As Sulayyil (Arabic: السليل‎) a city in Ar Riyad Province, Saudi Arabia. Together, they share a deep interest in neurosciences, neurotransmitters and in the study of human behavior. Subsequently they both attained their post-graduate education and training in Psychiatry and in Neurology respectively at the University of Kansas Medical Center. He served as Vice President of Midwest Behavioral Medicine Associates, from 1997 to 2001, incorporated in the State of Kansas during which period he served as Medical Director of Kaw Valley Children Center in Kansas City. The family moved to California in 2001 where he and his wife joined State Civil Service, working for California Department of Corrections and Rehabilitation. He also provides services to indigent patients at medical clinics of National Health Services, Inc., a nonprofit corporation which operates thirteen sites in the western, northwestern, and northeastern portions of Kern County. A certified correctional health professional with National Commission on Correctional Health Care, he is Chief Psychiatrist with the State of California. 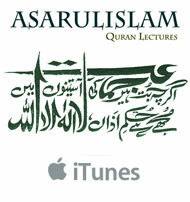 Asarulislam plays music and is a vocalist who regards singing, his self-soothe activity. 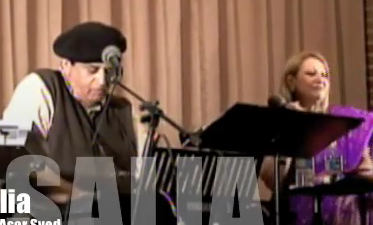 Since 2001 he has been performing with a Bakersfield Pakistani music band Anarkali Sangeet. The band has performed nationwide in several cities providing musical and cultural entertainment to Pakistani American communities living in the United States. Through musical performances nationwide in the USA for various Pakistani community groups, Asarulislam propagates the liberal values of our civilization, imploring Muslims to join the human race, to give up bigotry, hatred and discrimination against the USA. Playing music, Asarulislam interjects comical interludes to challenge and change the Muslim minds that are preoccupied with hateful and discriminatory Wahhabi cult beliefs being preached in the Islamic Centers throughout the United States. Anarkali Sangeet, as a cultural troupe, promotes liberal Pakistani-Islamic values and culture. Earlier in Kansas City, he and his wife Nayla Syed were very active in promoting Pakistani culture and were founder members of Pakistani American Society of Greater Kansas City. Asarulislam has produced, organized and performed as a hobbyist stage actor in several plays including Shakespeare’s Macbeth. He has also performed in a few Pakistan Television plays including some written by Pakistan’s famous playwrights Bano Qudsia and Ashfaq Ahmed. In the aftermath of September 11 attacks, in response to the speech of the President of the United States, “This is not Islam. They have hijacked Islam”, Asarulislam conscientiously rose to speak on various public forums, boldly condemning terrorism and wrongful interpretation of the Quran. As a Quran Scholar, Dr. Asarulislam won strong appreciation from other Quranist Scholars including the celebrated Dr. Shabbir Ahmed (writer) who acknowledging his scholarship named him “Cannon of the Quran”. Despite several terrorist threats to his life he has stood true to his commitment, to educate, enlighten and emancipate the minds of Muslims that have been shackled for centuries, liberating them through Quran, by eradicating criminal Wahhabi beliefs, wrongfully attributed to Prophet Muhammad . 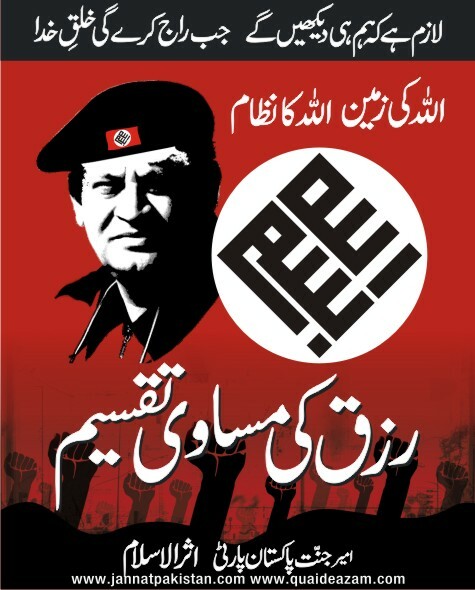 In March 2011, passive and oppressed Quranist Muslims of Pakistan, inspired by Dr Asarulislam’s Quran lectures, activated and launched a political party, Jannat Pakistan Party, also known as JPP. Jannat Pakistan Party was founded in Rawalpindi, Pakistan on March 23, 2011 by Dr. Asarulislam. His weekly lectures on Shalimar Radio, aired between 2008 and 2010, activated the Quranists intellectuals and scholars who were scattered throughout the world. In December 2010, with the Government of Pakistan persistently failing to control terrorists and religious fanatics, Dr. Asarulislam appealed to Quranists that were spread world- wide to host a Webinar meeting of Quranists, whose climax was The First International Quran Conference to “Liberate Pakistan from Devil Worshipers”. On January 16, 2011, a foundation was laid to establish a new political party to liberate Pakistan. Several Skype conferences, as a prelude to convene the International Webinar meeting were hosted by Abdus Salim Khanzada, a Pakistani Quranist from Saudi Arabia. The New-formed party will be engaged in 2013 Pakistani General Elections. Dr. Asarulislam bears dual citizenship of both countries, United States of America and Pakistan and under Pakistan’s dual citizenship law, being a US citizen precludes him from running for any political office in Pakistan. Dr. Asarulislam Syed hosts Quran lectures on Shalimar Radio, a Los Angeles-based radio that is operated by Pakistani diaspora in United States. Lectures are aired every Saturday at noon and are archived and available on Quaideazam website as well as on iTunes free of charge.